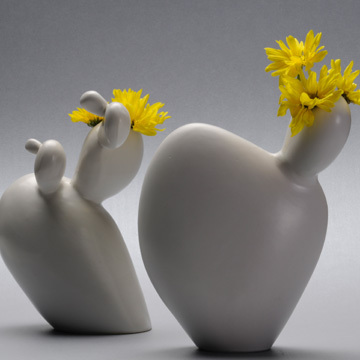 Cactoo vase is belong to tulip vases, but in a contemporary way. 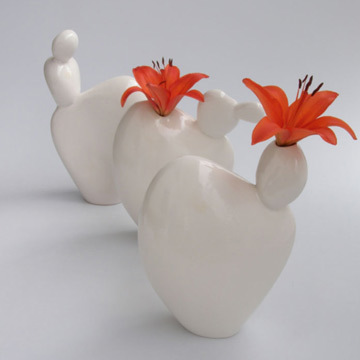 Cactoo vase is a combination of a sculpture and a functional piece. Traditional vases are quite boring, so the goal was to create something unusual and eye-catching that can be part of a stylish flat. This vase is quite practical, because it does not need plenty of flowers, a few can give the same effect, or even without any. Cactoo vase was designed to sophisticated customers and design fans.This vase can be realised in stoneware or porcelain in big series, or small quantities as well. Several form and colour variations are possible.